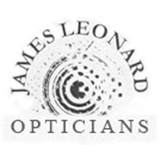 James Leonard Opticians (New York) - Book Appointment Online! Call or visit the best opticians in New York. Find friendly and courteous service, get your eye exam, and choose from our vast selection of top of the line eyewear including glasses, sunglasses, and contact lenses. Dr. Stoica was very personable. She took her time to understand my relevant medical history, as well as my short and long term goals related to my vision, and went out of her way to make sure I felt well understood and taken care of. The doctor is a professional with reasonable suggestions and advices, although the process overall had a bit of a lack of clear communication.